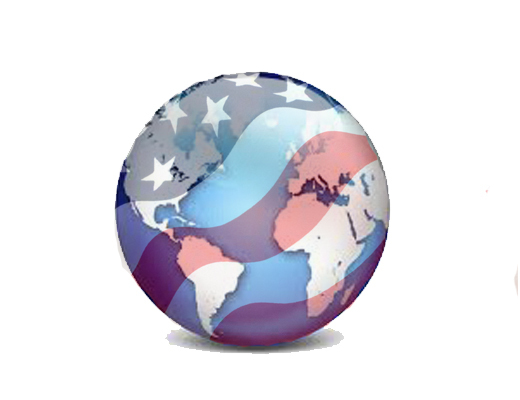 Many Americans across the political spectrum want America to have a diminished global presence. Some Conservatives, who would normally support strong international involvement, are war-weary after fighting for years in what seem to be unwinnable wars for people who appear largely ungrateful. Libertarians by nature tend to be isolationists. Some have argued that the federal government actually has very limited constitutional authority to conduct extensive global initiatives, adding that limited government produces limited harm, whether in material costs or in human life and liberties. Meanwhile American liberals claim they want America off the world stage for a variety of reasons. Most of these reasons tend to have anti-American or anti-imperialism roots. In reality, however, liberals do want America on the world stage–but under a different theme. Regardless of their particular reasons, some of which are understandable at a certain level, isolationists in terms of American global presence are misguided in their view of the big picture. Throughout history, a number of “superpowers” have instituted their unique version of hegemony. One of the most famous was the Roman Empire, where in the first and second centuries, a large part of the Western world saw a long period of relative calm referred to as the Pax Romana, or the Peace of Rome. Peace and freedom are not mutually inclusive terms, so historically a superpower presence does not necessarily imply establishment of rights and freedoms as we would define them today. Rather, it refers to periods of minimal interregional warfare, usually accompanied by extensive trade and economic growth. The general expression for a superpower’s regional or global presence is Pax Imperia, and the world has seen many Pax Imperia. Some were: Pax Sumeria, Pax Babylonia, Pax Greca, Pax Sinica, Pax Mongolica, Pax Inca, PaxOttomana, and Pax Britannica. Some of these regimes were fairly brutal. Myopic visionaries concentrate on Pax Imperia abuses, but when they do this as a blanket policy, and especially when the Left writes on Western societies, they are guilty of “presentism;” that is, forcing modern conventions on past cultures. Presentism ignores the fact that the evolution in human rights required advances in social thought, much as evolution in medicine required advances in science. For example, under Pax Britannica (1815-1914), the world operated in a relative peace enforced by the British Navy. During this time, Britain took on international piracy and slavery, and established extensive trade and commerce. Yes, there were abuses under Pax Britannica, such as the ones that led to the Opium Wars, but there was definitely change in the air; change led by Western nations. As the British used advances in technology, they introduced those same technologies around the world. Britain’s greatest gift to its former colonies may have been British Common Law. But in 1776, there appeared a new kid on the block. The shift to Pax Americana from Pax Britannica started as early as America’s attack on the Barbary Coast in 1801 and the issuance of the Monroe Doctrine in 1823. This shift accelerated throughout the 19th century, and one of the first international benefits of the fledgling Pax Americana was the Panama Canal, whose global benefits are incalculable. Within this context, America has been so successful as a positive global force that our language has become the new lingua franca and our science, technology, and culture dominate everywhere. In every pragmatic sense, American exceptionalism is real. You don’t need to conduct a survey on how the world feels about American exceptionalism because the proof is at our borders. And that brings us to isolationist arguments, especially from the Left and particularly from President Obama. Progressives ignore historical context and apply presentism to sell America as a destabilizing force and a threat to human rights. The Left defines America by its original sins, which were not uniquely American, and not by its later redemption as a force for global good, which is uniquely American. To the Left, there is no Pax Americana–only a Pox Americana. This is why one of the first acts of President Obama was his worldwide apology tour. The Left no longer wants America to be a global leader in the old sense, but only to serve as a source of wealth, like a fattened cow, under some global social justice milk redistribution plan. The end result is a series of bizarre contradictions: borders that are not borders, welfare handouts that become voter buyouts, Army mechanized cavalry converted into global meals on wheels, a space agency sending goodwill gestures to old world nations instead of spacecraft to new world frontiers, and so many more. But there is something else all other isolationists, Left to Right, seem to forget: with great power comes great responsibility. Past superpowers understood this. America without its commitment to Pax Americana would not be the great country that it is. You can’t have the latter without the former. Those that give the most, reap the most. America has the most because it gave the most. Without Pax Americana, there would be economic repercussions domestically and sociopolitical instabilities globally. Under an American-guided peace, in any real measure, economic and social rewards have been more available to mankind than any time in history. However, President Obama’s worldview of a Pox Americana and his decision to do away with Pax Americana has shown the dangers of dropping our guard because it has created more powerful terrorist groups and greater volatility in a number of other regions. Universal human harmony may be in our distant future, but common sense tells us that for the foreseeable future the world still needs a stabilizing force; almost as if a Pax Imperia is a law of nature, and since nature abhors a vacuum, the decline of one Pax Imperia usually gives rise to another. If isolationists have their way, what will take the place of Pax Americana? Another Pax Sinica? Some would like a UN Pax Novus Ordo. For the sake of my children and grandchildren, I hope not.